Step aside, New York: Muskegon is in the house. The food processing house, that is. Muskegon County is poised to become one of the nation’s major food processing powerhouses—joining, or even topping, current leaders in the industry, such as New York’s Finger Lakes region, local government and business officials say. 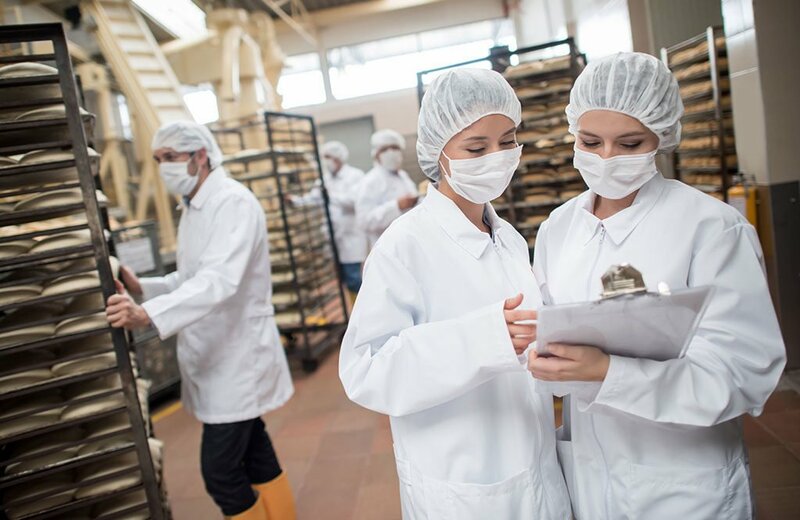 And, now, $6 million in recently approved state funding is giving a significant boost to Muskegon officials’ efforts to dramatically transform the region’s economy by growing and supporting the food processing landscape. As part of the $115.5 million in Michigan enhancement grants included in the $1.3 billion supplemental budget bill state lawmakers passed in December, $4 million is allocated to expand Muskegon’s Port City Industrial Park. The expansion, which will take place after the city purchases the former West Shoreline Correctional Facility at 2500 S. Sheridan Dr., is expected to translate to several new businesses opening at the site, potentially including a food processing operation, according to Muskegon City Manager Frank Peterson. Another $2 million is slated for the Food Forward FARM (food, agriculture, research, and manufacturing) incubator, which is part of the West Michigan Shoreline Food Processing Initiative and is meant to provide support and space for food processing companies that aren’t quite ready to open their own brick-and-mortar facility. The incubator will be located at the old Muskegon farmers’ market site at 731 Yuba St. While there are an abundance of farms in the area, and throughout Michigan, about 80 percent of the food that’s grown here leaves the state to be processed (in other words, to be changed into something that’s edible—think everything from milling grains into flour to turning soybeans into meal for the state’s growing livestock herds), according to the West Michigan Shoreline Food Processing Initiative. 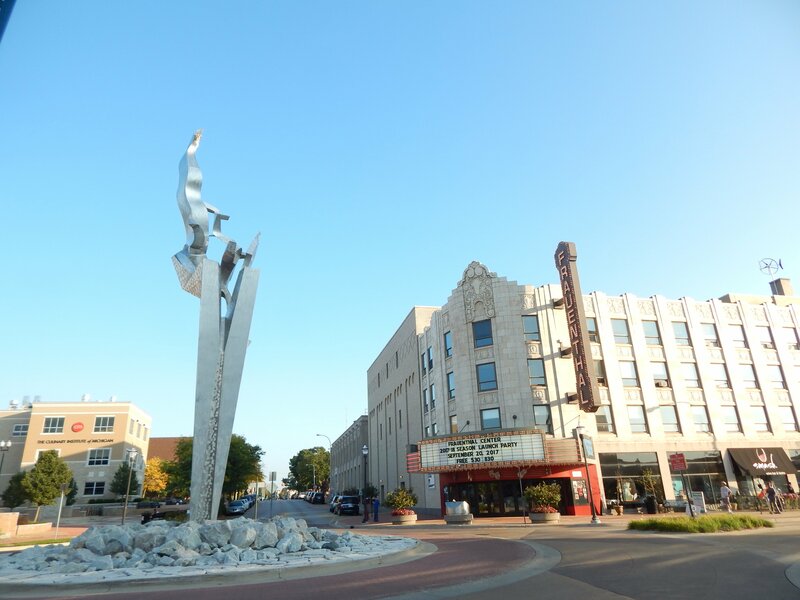 The initiative is an organization that launched a little more than a year ago with a $232,728 grant from the Consumers Energy Foundation and additional support from the Community Foundation for Muskegon County, the city of Muskegon, and Muskegon County. If this food instead remained in Michigan—and specifically Muskegon—to be processed, that would translate to major economic growth, from new companies setting up shop here to added jobs, according to officials involved in strengthening the food processing industry. With its numerous farms, access to the area’s largest commercial deepwater port, underutilized wastewater treatment system, and now millions of dollars in state funding, Muskegon County is well on its way to emerging as a leader in the food processing industry, area leaders are saying. Efforts to grow the industry follow years of studies and discussions with local stakeholders, from government and business leaders to food processing companies, surrounding the closure of Consumer Energy’s B.C. Cobb Plant, which ceased operating in 2016. “The studies looked at: what is the opportunity for economic development beyond what’s currently here?” says Marty Gerencer, the executive director of the West Michigan Shoreline Food Processing Initiative. All of this, Gerencer emphasizes, is now being implemented in conjunction with the food processing initiative taking a big-picture approach to the industry: the group is linking farmers, food processors, economic development officials, local governments, and educational institutions to grow the processing landscape. By connecting key players in growing food processing, those from the initiative say companies will be able to more easily find available properties and set up shop in Muskegon, jobs will be created, and area schools–Muskegon Community College and Michigan State University–will be able to train the current and future workforce needed to fill the coming food processing positions. The $4 million state grant will allow the city of Muskegon to purchase the former West Shoreline Correctional Facility at 2500 S. Sheridan Dr., which stopped operating as a prison in March 2018. The $2.1 million purchase of the former prison is expected to take place in February and will expand the current 380-acre Port City Industrial Park by about 60 acres, Muskegon City Manager Frank Peterson said. State legislators in December approved a bill sponsored by former state Sen. Goeff Hansen (R-Hart), who represented Muskegon, to transfer the prison site to the Michigan Land Bank, which is selling it to the city. This expansion paves the way for the city to add about three or four businesses to the industrial park, potentially including a food processing operation, according to Peterson. Following the purchase of the site, Peterson says the rest of the $4 milion in state funding will go towards the demolition of existing facilities on the property, as well as utility and road extensions for future tenants. With the $2 million state grant for the Food Forward FARM incubator, the West Michigan Shoreline Food Processing Initiative is set to soon debut a 30,000-square-foot venue that will feature 20,000 square feet for production space and 10,000 square feet for offices, training rooms, and collaboration areas. Part of the 20,000 square feet will include refrigeration and freezer space for each of the tenants. About four to six tenants are expected to be housed in the incubator, which is slated to celebrate its groundbreaking in the spring and will open for operation in the fall of 2019, Gerencer says. Each tenant will likely stay a year or two at the incubator before moving on to their own brick-and-mortar facility. “The tenants we work with are not brand new processors; they’re processors who’ve been on their own for a while and need a bigger or different space,” Gerencer says. 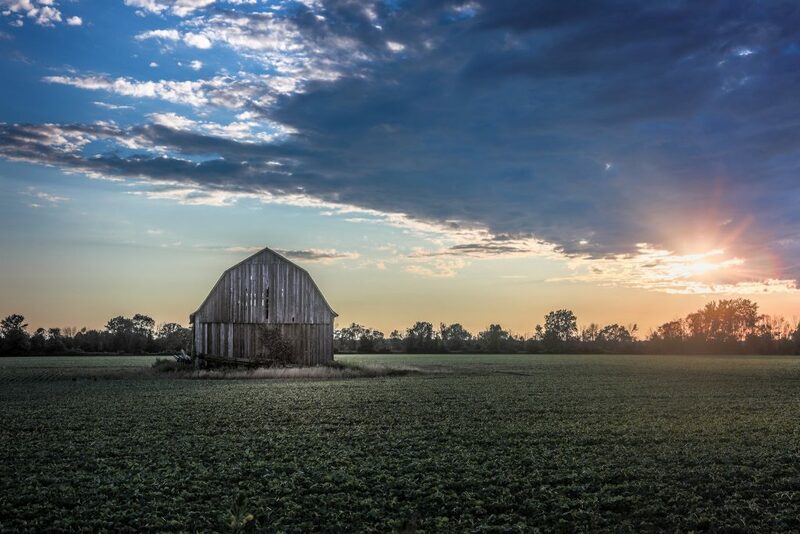 The incubator will give the processors the chance to network and connect with fellow entrepreneurs, as well as connect them with a representative from the Michigan State University Extension. The MSU Extension individual will have office space at the incubator and will be able to work with tenants on a variety of issues, from food safety needs to connecting them with on-site complementary training from Muskegon Community College and Michigan State University. MCC and MSU too are teaming up to launch a two-year food processing program in the fall of 2019. “They’ll know the resources that are on campus, such as the [MSU] Product Center, which offers assistance with business capacity, labeling packaging—all of the needs of an entrepreneur,” Gerencer says. 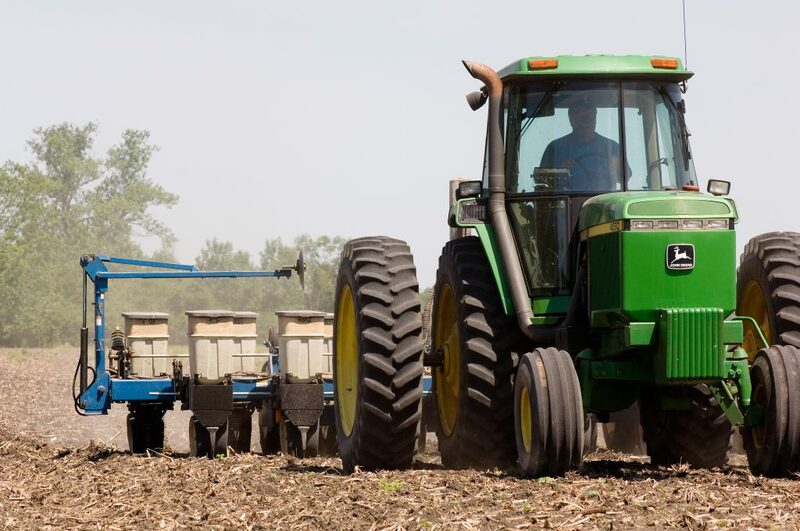 A farmer plants soybeans, which, when processed, can turn into meal for Michigan’s growing livestock herds. Photo by the United Soybean Board. 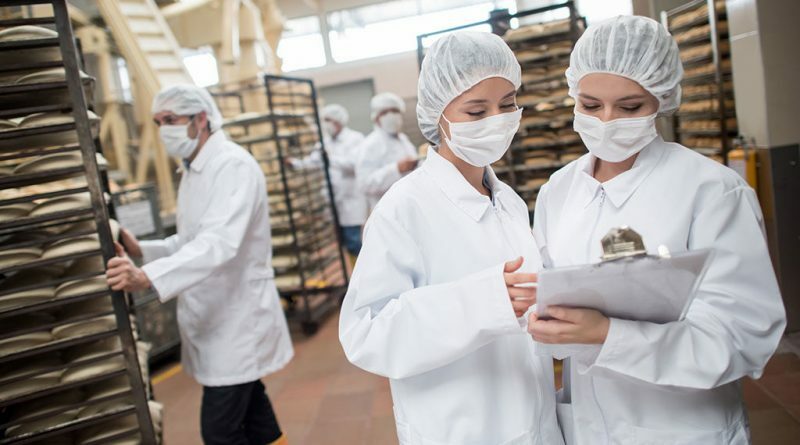 The future of food processing: What’s on the horizon? As the food processing initiative continues to grow and support the industry, Gerencer emphasizes they will look to offer further incubation options, including an incubator for local chefs that will focus on connecting local, healthy food with area restaurants. And, of course, the organization will continue to have conversations with area food processors about how to best support them as they grow the region’s economy, Gerencer notes. “The exploration of 2019 priorities is just beginning; we are very happy with our 2018 accomplishments,” Gerencer says.